Angelenos will vote next week on Measure S, which restricts development in the city for two years. It’s stirred up a heated debate: Should LA build higher, denser developments near public transit, or stay as a network of neighborhoods with single family homes and small apartment buildings? 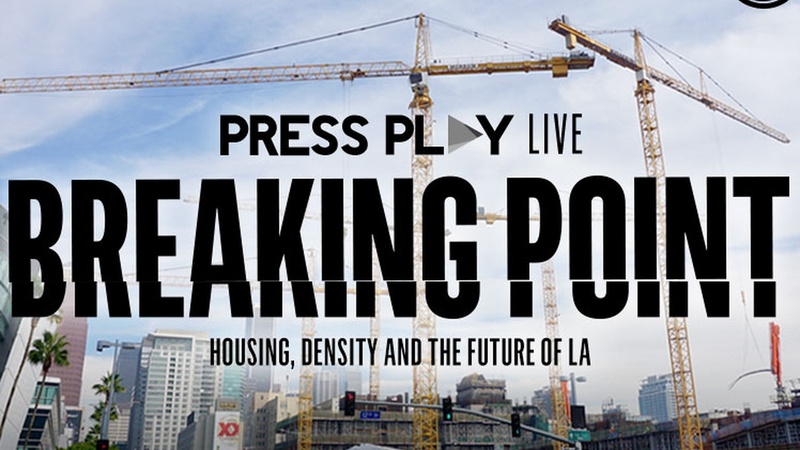 Press Play hosts a special broadcast live from Hollywood’s Barnsdall Gallery Theatre, exploring how the housing crisis in LA has caused an identity crisis for Angelenos.